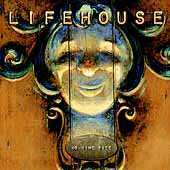 Lifehouse is a trio from California, USA offering soft rock music with spiritual undertones. Their hit single "Hanging by a Moment" reached the top of some of the USA charts. Direct links to the same topic on other websites.